Wulff Throwing Strikes with Recruiting Pitch? First off, happy holidays to y’all. 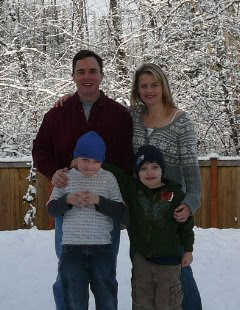 Hope you are safe and warm, and were able to spend some quality time with the loved ones. We’re finally getting some melting snow around here, and the roads are getting better by the day. Snow is nice to look at, but I think I speak for all western Washingtonians when I say ENOUGH ALREADY. On to the football front. Another couple of days, some more good news from the recruiting trail. A quick rundown: Earlier in the week, G-Prep’s Travis Long committed to the Cougs. Long was rumored to be a strong Crimson “lean” for several months, and he finally pulled the trigger on X-mas day. Long fits the mold of the kids Paul Wulff and company are currently seeking in their linemen-types. You know, the lean, 6-5, 250-lb kids who have the right kind of body type and athleticism? Big, wide frames where they can add the “right” kind of weight over time? Long projects to be a defensive end, but already at 6-5, 244, who knows where he’ll end up. Maybe even a play-making defensive tackle, ala another LONG who came before him?? OK, that’s a HUGE stretch at this point. Rien Long won the Outland trophy for gawdsakes. But what the heck, this is the season for stuff like this. Oh, and there’s some tape on Long at ESPN, which you can check out here. Then we had Gino Simone re-upping his commitment to the Cougs yesterday. While the article is premium at Cougfan, there was this piece by Howie Stalwick of the Kitsap Sun. Simone is now firmly in the “commit” category, upgraded from his “soft verbal” earlier this year. Simone is on the record as saying WSU “felt like home”, so you have to like the odds of seeing his name on a letter of intent in early February? But it’s not over yet with Simone. Kim Grinolds of Dawgman.com is still holding out hope of some kind that Simone will become a Husky, saying that if Simone takes a trip to UW in January, anything can happen. However, consider the source. Last spring Mr. Grinolds predicted Tony Bennett would take the Indiana job, then when that failed to materialize, he virtually guaranteed he would take the LSU job. So there. Besides, if/when Simone actually comes to WSU, they’ll be quick to point out that Simone wasn’t big enough or fast enough, and they didn’t want him anyway, and OH yes, it’s a “down” year in Washington anyway……Again, consider the source. When Wulff was hired last December, the Cougars had three verbal commitments. Scouting services generally rank WSU recruiting classes quite low, but Scout.com currently ranks WSU 41st in the nation and fifth in the Pac-10. 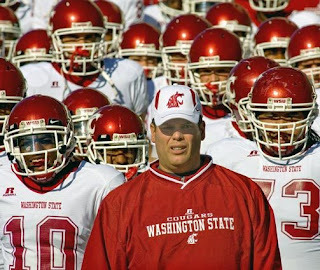 Mrs. Heaps said she has been particularly impressed with the fact that WSU coaches send hand-written notes to recruits. “He (Jake) gets several a week,” Mrs. Heaps said. Further down in the story, Heaps himself said he is “definitely” considering scholarship offers from WSU and Washington, though he calls himself a “Husky fan.” He also expressed concern about the recent struggles of the Huskies and Cougars. Now, let’s not get carried away here. Jake Heaps has 18 scholarship offers RIGHT NOW, ranging from Tennessee to LSU to Notre Dame to BYU, and of course, UW and WSU. But I think it is safe to assume that Jake Heaps is NOT going to come to WSU. I think we know that. But what is impressive to me are the quotes from the Heaps family about Wulff, and how they go about this whole recruiting thing. Hand-written notes on a weekly basis? Developing an incredibly personable culture? All from a guy in Paul Wulff who has walked the walk? A guy who has fought adversity in his personal and professional life, and has persevered along the way? A coach and leader who will see to it that these kids will get an education, stay out of trouble and play at a BCS school? That pitch sure sounds good to me. And it’s sounding good in the most important area of all – in living rooms and the ears of recruits, all across the state. So far, this recruiting class is nothing short of impressive. When you consider that WSU classes are generally rated pretty far down the list, to be in the middle of the road in the PAC-10 rankings right now, coming off a season that was 2008? What MORE can you ask for as a Coug fan than what they are doing right now? It’s true what Wulff said from earlier in the year, on his weekly radio shows and in print. NOBODY is going to outwork these guys in recruiting. And that hard work is paying off. They know they have to keep their energy levels up and have to outwork the next guy for talent. And that, Cougar Nation, bodes well for getting this thing back on track. The work ethic, the energy, the desire to turn over rocks and find those sleepers or diamonds-in-the-rough types, that kind of thing is what made WSU a strong program at the start of the decade. The road is a long one to get back to respectability, but you have to like where this thing is headed. ENJOY YOUR SUNDAY, and GO COUGS! You are currently browsing the archives for the Jake Heaps category.